Meredith, it's so great you're finally getting to enjoy beautiful literature. And now I'm feeling less foolish for doing a boring business degree. I've long regretted not doing arts -- but you've just diminished that regret. And I'm thankful I could at least read novels for fun while at uni! I never got into Tolkien previously but am now reading Fellowship of the Ring to the family each night. We are all hooked. Good literature is a precious, glorious gift. Which raises for me the impoverished nature of the childhoods I see in my kids' peers. No great literature in the classroom, very little in the school library and, for most, none at home. Will this generation grow into techno-savvy, shallow, short-attention-spanned dopamine-addicts? Sometimes I buy good books as gifts but then as my child rocks up to the party with a novel or two it looks mean beside the glistening-plastic-from-China-that's-destined-for-landfill. If you have thoughts on this, I'd be interested. You should read Villette too! Also a Bronte. I read it for a Victorian English tutorial presentation (probably the main reason I finished it in another 'novel a week' course) and loved it. Haven't read it since though. Perhaps now's the time! Thanks Amy. I was wondering about Villette. I've been told Charlotte Bronte's biography of Elizabeth Gaskell is the pinnacle of biographies. So I shall pursue Charlotte a little further. Yay. Hi dear Sal. The good thing about my uni was that its course structure was extremely flexible so I did the bare minimum of lit units in the end and far more education units than I might have otherwise had access to - so that at least worked in my favour. Kids these days. I so agree. I resolutely give board games, craft activities and cooking packs (like a gingerbread man kit) for every party present for the same reason, steering right away from the techno stuff at every turn. But I think it is a real problem. We know that constant use of the internet shrinks concentration and creativity. Hard to know how it is all going to turn out. But I guess there will always be a portion of the population who will read, think, create, produce and lead. And maybe in time it is a pendulum that will swing back. I'm shocked speechless; you didn't actually read them all, all the way through? You hated reading?? I'm going to have to reevaluate so many recollections! But if you know Cormac McCarthy, do you recommend Blood Meridian or The Mill on the Floss for my next read? 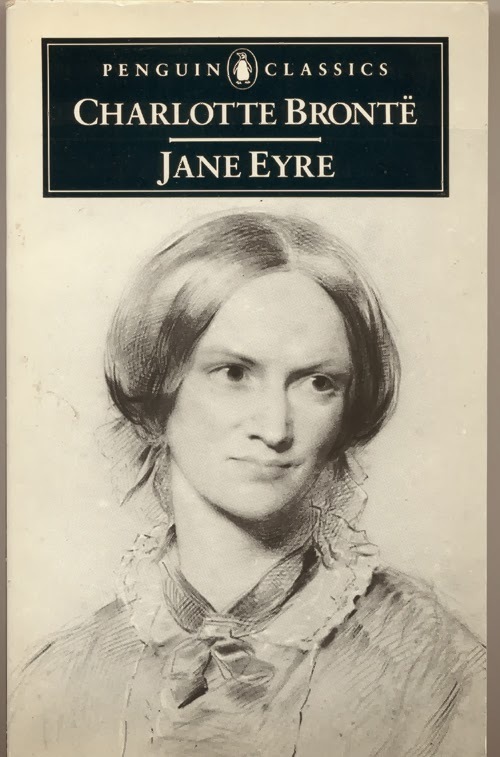 Jane Eyre is the perfect novel. I am reading it at the moment. And from now on everything I read will be compared with it. I really can't stomach Austen. Next I'm going to read Tess of the D'Urbervilles. MB - What can I say? I was a slow reader. I was terrified of my tutor for that subject. He told me I should have referred to Bakhtin's theory of the carnivalesque. I hadn't even heard of Bakhtin. I also failed my AMus that year. The sky was not blue. But the sky IS blue and for many years reading has been wonderful and Jane Eyre is the best. Couldn't give you any advice on Blood Meridian or Mill on the Floss. You might need to ask my sister about at least one of them. I can recommend "Crossing to Safety" by Wallace Stegner though. Hi Alastair - yes, I think it is probably good that I read Austen last year and first. There was a certain predictability to her plots. You can pretty much work out who is going to marry who in the first chapter. Enjoy Tess - and let us know what you think. I remember enjoying Thomas Hardy at the time, but the details are a bit hazy now.